To quote Sam Malone from Cheers, "A lot of people don't know this, but I'm famous." I'm known in the so-called Horror genre for writing intellectual works. I like to delve into unsolved real-life mysteries. 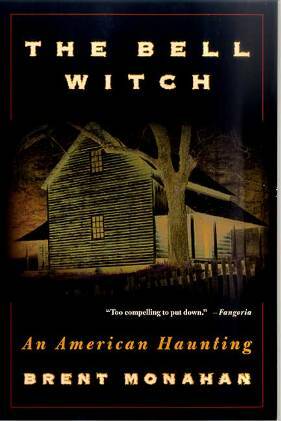 For example, in my The Bell Witch/An American Haunting I exhausted the contemporary accounts of "the only poltergeist haunting to result in a the death of a member of the family." While the early-nineteenth-century, rural-Tennessee Bell haunting events are in the public domain, a Hollywood producer paid me well into six figures because I had deduced a logical and shocking solution to the mystery, based on many clues. Before my solution, the story drifted to an unfulfilling conclusion that made for poor film drama. The film An American Haunting fails regarding my book's straight-on solution, but it was well filmed and starred Sissy Spacek and Donald Sutherland. On October 3, 1849, Poe was found on the streets of Baltimore delirious, "in great distress, and... in need of immediate assistance", according to the man who found him, Joseph W. Walker. He was taken to the Washington College Hospital, where he died on Sunday, October 7, 1849, at 5:00 in the morning . Poe was never coherent long enough to explain how he came to be in his dire condition, and, oddly, was wearing clothes that were not his own. Poe is said to have repeatedly called out the name "Reynolds" on the night before his death, though it is unclear to whom he was referring. Some sources say Poe's final words were "Lord help my poor soul." All medical records, including his death certificate, have been lost . Newspapers at the time reported Poe's death as "congestion of the brain" or "cerebral inflammation", common euphemisms for deaths from disreputable causes such as alcoholism . The actual cause of death remains a mystery. . Speculation has included delirium tremens, heart disease, epilepsy, syphilis, meningeal inflammation, cholera and rabies. One theory, dating from 1872, indicates that cooping – in which unwilling citizens who were forced to vote for a particular candidate were occasionally killed – was the cause of Poe's death. I dug as deeply as I could from the distance of 161 years, including contemporary newspaper accounts, the book written by the supervising physician, and the thoughts of Poe biographers. Here's "the rest of the story." Poe was not found "on the streets." That suggests he was wandering under his own power. He was rather found lying on a roughly-assembled bench, just outside of Gunner's Hall, which was also known as Ryan's 4th Ward. He was indeed found by a Joseph W. Walker, but Poe had a momentary lapse of lucidity when he asked Walker to summon Dr. Joseph Evans Snodgrass, a fond acquaintance, along with one of his uncles. He was conveyed to the hospital by hack. At the time of his discovery, Poe had been unseen for three days. 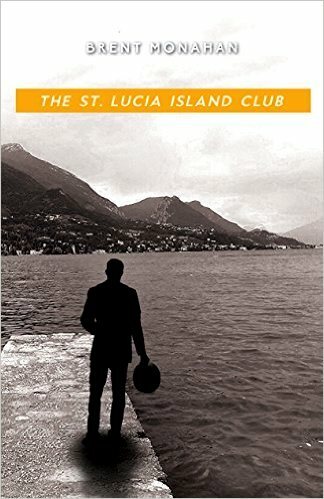 His itinerary had him stopping but briefly in Baltimore, either to raise more subscriptions for the monthly literary journal he had finally managed to get support for, to pay local writers for short stories, or both. His main goals were Philadelphia and New York, both being cities where he had worked as a writer and editor. Again, his goals were to raise more money and hire writers for the new publication. Poe had, especially for his perpetually impecunious self, a large sum of money with him. The money was not found. Nor was his suitcase. With him, by the bench was a cane. He also wore "clothes that were not his own." The amazing thing is that they were a size too small for him. They were also virtual rags, cheap gabardine, stained, torn, and ripped. The hat was a straw boater variety, with half the brim and the ribbon missing. This is significant because the extremely vain, fastidious, elegant Poe would, literally, never be caught dead in such an outfit. This was a blatant affront to the man. If Poe had merely been robbed, he would not have vanished for three days. No bruises were found on him. Moreover, no ordinary robber would take the time to exchange clothing, particularly clothes of different sizes. Poe was taken to the Washington University Hospital (not 'College' as the article reads). Accounts taken from lower-level staff and visitors may be relied upon, but not the story written purely to cash in on the death of the famous writer by the attending physician (also in charge of the Hospital). 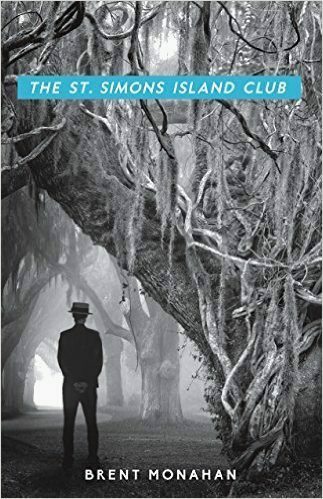 In his book, he gets the time of death, the place of Poe's discovery, and several other facts wrong. He also would lead the reader to believe he had protracted conversations with the victim, when no one was even able to get a sentence on who he had been with and how he came to be on the bench. The doctor's name is John J. Moran, and I would recommend you not waste your money buying his account, as I did. Poe evidently spoke the name 'Reynolds' to at least two persons while in his delirious state. No person with this last name was a friend or relative, and no investigation has dug up a Reynolds living in Baltimore at that time who might have spent time with Poe during the "lost days." Nevertheless, Poe was clearly trying to impart some significant information. Concerning the cause of death, we know that it was lingering. He did not smell of alcohol when admitted to the hospital; nor did he evince delirium tremens in the hours afterward. Poe was one of the earliest of the notorious American alcoholic writers, and his bouts had landed him in hospital previously, but this seemed to be another cause. He was described as pale and profusely sweating, with a rapid heartbeat. He was also a taker of laudanum and an eater of opium. The curious element is that he was in the hospital under observation for days. Ordinarily, a sufferer of alcohol or narcotic poisoning would show improvement. The rabies theory is disproven because he drank water with no reservation and did not secrete ropey froth from his mouth. Because Poe died close to voting day in Baltimore and was found outside a ward hall, the theory of cooping arose, i.e. using a locally unknown person to vote for those out of town or recently decreased and still on the rolls. Poe's sad state and the fact that his face was known throughout Baltimore as a famous city son make this incredible. Poe was found to have a cane not his own. This was satisfactorily explained as the inadvertent grabbing of the wrong cane from an umbrella stand at the end of a quick meeting with a friend just before he left Richmond for Baltimore. However, since the cane was valuable, an ordinary robber would not have left it behind. More likely is the planned juxtaposition of the elegant cane with the shoddy clothing. Poe did not need to use a cane; it was just one more affectation. Poe was notorious for leading a virtually penniless adult life, after his alienation from the wealthy family that adopted him upon the deaths of his actor parents. If robbery were the motive, it would need to be someone who knew that he was traveling to Philadelphia and New York with money. Poe, however, did have enemies. The first group was other writers, who he both libeled and slandered, in print and on lecture tours. These included an editor named Rufus Griswold, who Poe had curiously named as the executor of his estate, and Charles Dickens. Poe was also inclined to seduce any woman who fell under his spell. This included at least three married women, one of whom had a husband proud of the affair. 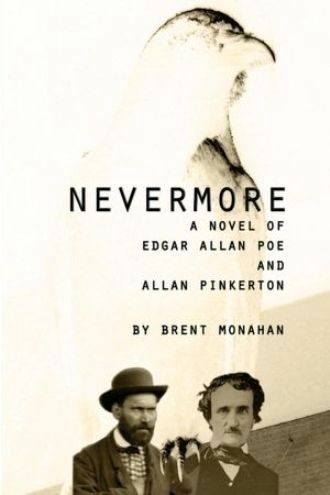 Certainly, as Poe had only years before "invented" the professional detective in print with his short story "Murders in the Rue Morgue," and since Allan Pinkerton (my investigator in this novel) was just opening his business as Poe died, the slovenly investigation of the circumstances of his death are understandable. Baltimore had only recently established its first police, known as the Watch Force, with not one detective. In fact, at the time of Poe's death, the Force consisted of only about a dozen men, to police a rough, harbor city with some 162,000 residents. And yet, as with the circumstances of the Bell Witch, clues lie around unassembled that may point to a murderer. As one more clue for you, I submit that Poe is a very uneven writer. While his vocabulary is unerring and huge and his imagery approaching perfection as to the creation of mood and emotion, his plots range from the very sophisticated to ones akin to the ideas of a twelve-year-old boy, with bad character names and worse puns. Why was this so? Finally, if you believe that such a crime (which I truly believe it was) is now too remote to posit a solution, I will tell you that Edgar Allan Poe solved a murder while working in New York, purely from reading the newspaper accounts. This was the death of a young woman found in the waters of the City. 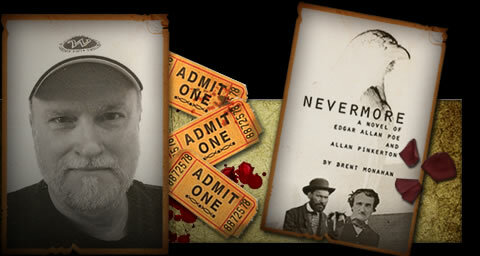 I hope you will read my novel Nevermore, either in e-book form via Kindle/Amazon or by ordering a print copy from http://www.wtfbooks.net. 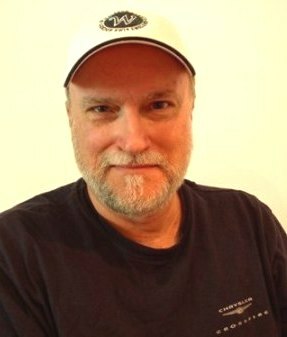 Brent Monahan is the author of over eleven novels in print and numerous short stories. Two of his novels have been turned into motion pictures, with stars Peter Fonda, Oliver Reed, Sissy Spacek, and Donald Sutherland.